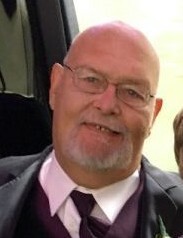 Anthony J. Rogalski, 67, of Brackenridge, passed away Monday, March 25, 2019 at UPMC Presbyterian Hospital, Pittsburgh, surrounded by his family. He was born June 19, 1951, in Kittanning to the late Anthony and V. Phoebe Lambing Rogalski. Tony was a 1969 graduate of Freeport High School and laborer out of Local #952. He was a full time dad who enjoyed his role as a loving father. He enjoyed hunting and fishing. Tony is survived by his wife of 38 years, Diane (Alese) Rogalski; father of, Maria (Zackery) Ayers, of Lower Burrell and Anthony (Lesly) Rogalski, of Brackenridge; papa of, Sofia Rogalski, Mia Ayers, Holden Rogalski and Beau Ayers; brother-in-law of, Mark (Diana) Alese, of Harmarville; and uncle of Matthew and Andrew Alese. He is also survived by Roxanne, Cubby and Ozzy. In addition to his parents, Anthony was preceded in death by his brother-in-law, John Alese and sister-in-law, Carol Alese. Friends are invited to celebrate Tony's life on Thursday from 5-8 PM in the Cicholski-Zidek Funeral Home, Inc., 1522 Carlisle St., Natrona Heights 724-224-8688. Burial will be private. In lieu of flowers, contributions in memory of Tony may be made to Animal Protectors of Allegheny Valley, 533 Linden Avenue, New Kensington, Pa. 15068. To send an online condolence please visit www.cicholski-zidekfh.com.